Over a decade ago, I had the good fortune of meeting my current Reiki teacher. When he introduced me to Reiki, I thought it to be pure quackery, but I had nothing to lose in keeping an open-mind. After experiencing Reiki, I was not only hooked but I was changed for the better. That was twelve years ago , and today I am in a one year mastership training course with my same teacher with the hope of sharing my ability with others dealing with Parkinson’s disease. I have witnessed a transformation not only in myself but also with those whom I have worked on and seen as the healing energy calms, relaxes, and improves the conditions of those willing to try it. Seeing may be believing but true experience seals the deal. When I walked into my first Reiki session, I was walking poorly and my balance was off but an hour after my first session, I felt rejuvenated and my walking was dramatically better. Do I have empirical scientific evidence that Reiki made this miraculous alteration in my condition and can I prove that it was the Reiki that has helped me to actually improve over the past 10 years and not see my symptoms decline? The only evidence that I have is the end results and those results are impressive in my humble opinion. Show me a drug or procedure that is free and non-invasive that has that kind of success. I have little doubt if it were not for my learning how to do Reiki for myself, I would be in a far more serious condition than I am in today. My wife and I recently announced a local class to teach level 1 Reiki to people with Parkinson’s as well as their care-partner. The response was overwhelming. In less than a week our class overfilled with the need for placing people on a waiting list. Undoubtedly, this will not be our last class. I believe physicians and neurologists especially, should be recommending Reiki to their patients as additional therapy. There is no reason not to prescribe something that increases energy, quiets the minds, calms the heart, relaxes the muscles, and reduces dyskinesias. Yoga, meditation, acupuncture, and chi gong should also be investigated as a cocktail of therapies may be of benefit. As for me, Reiki has proven itself to me and science has yet to identify the untapped benefits that it reaps. 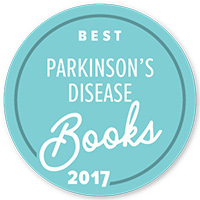 If you can find anything better for someone facing Parkinson’s disease, I don’t know what it could be. This is my opinion. I am not a medical doctor and this is not medical advice. This is what works for me. 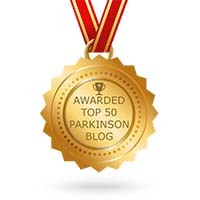 Posted on April 20, 2011, in Education & Support, Health, Media & Trends, Parkinson's Disease, Reiki and tagged 2011, blog, brain surgery, cure, deep brain stimulation, Disease, doctors, global, Health, heart, illness, Karl, media, medicine, news, Parkinson's Disease, PD, PDPatient, reiki, reikijinkeido, Robb, stress, support, therapy, wellness. Bookmark the permalink. 2 Comments. Thanks for posting. 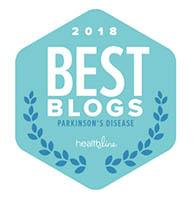 My father-in-law has Parkinson’s Disease and he is very open minded for alternative practices. I am a Reiki practitioner and I will share this with him. Blessings.